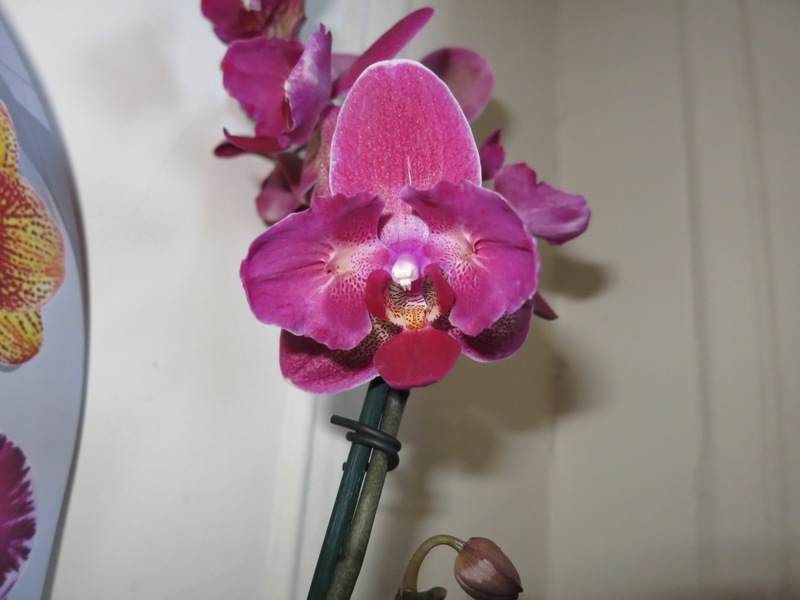 Just to recap with a little botany geekery, in case you haven’t followed my blog, a peloric orchid is one that has a genetic mutation that causes the petals to mimic the shape of the lip. 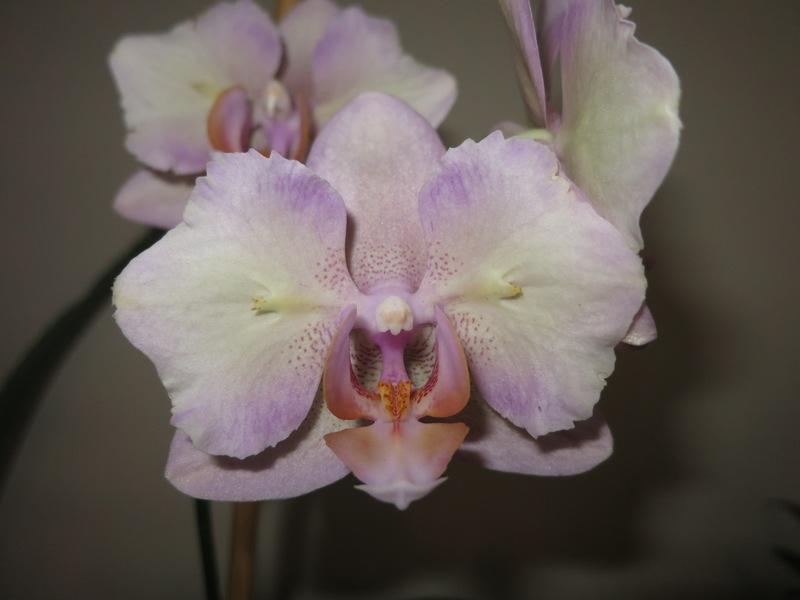 One defining characteristic of orchids is that that are bilaterally symmetric (also known as zygomorphic), meaning that if you draw a vertical line down the center, it will look the same on either side of the line. Peloric orchids actually begin to look more star-shaped or radially symmetric (also known as actinomorphic), meaning that you can draw a line along any plane of the flower and each segment will look about the same. Peloric orchids don’t tend to be perfectly radially symmetric like daisies or lilies, but they are much more so than orchids without the mutation. 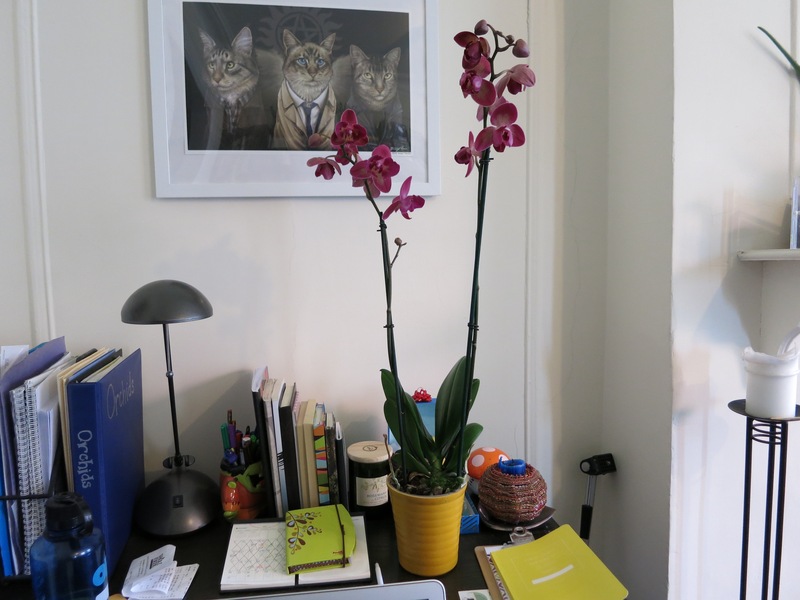 Obviously, I had to get a peloric orchid to add to my collection—especially for just $12.99. Are you ready to see what a peloric Phal’s flowers look like? Here we go! Regardless, I think this orchid is beautiful. And it’s a nice, tall plant with two spikes and some unopened buds! Why yes, that IS a drawing of cats dressed up as Sam, Castiel, and Dean from Supernatural. Thanks for asking! 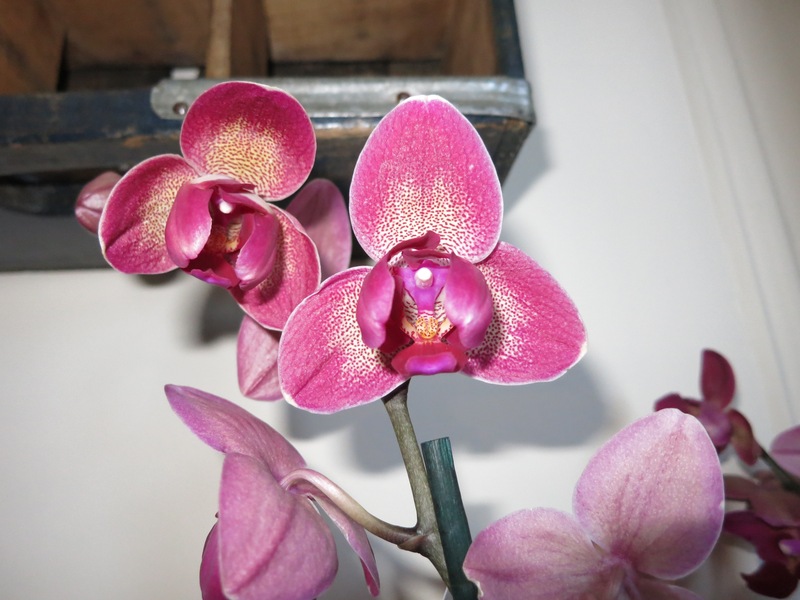 The orchid was grown by Silver Vase Orchids in Homestead, Florida—the same town where R.F. Orchids is located. That’s the place we visited during our February vacation to the Keys! Um. 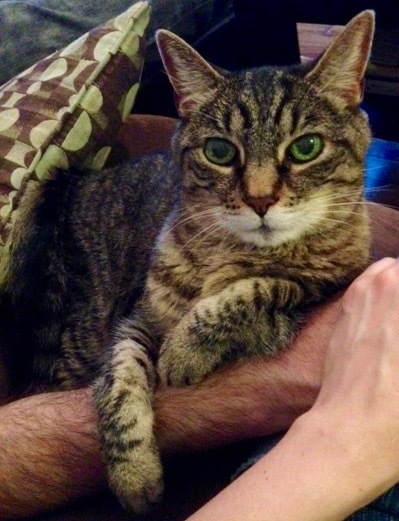 WHERE did the cat supernatural picture come from? I must have one. Painfully need it!! It’s so great, right?! My husband got it for me at San Diego Comic Con last year, but it’s by an artist named Jenny Parks. Her website is http://www.jennyparks.com/. Her work is so awesome. Finally, found out what that Phalenopsis is! Mine looks exactly like yours. I got it at The Home Depot, Alhambra, CA. Does anyone know what cultivar it is?